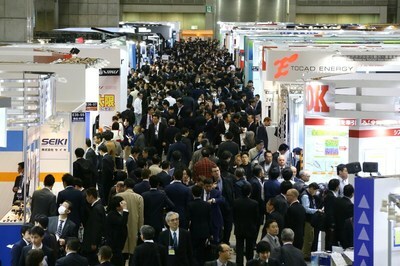 TOKYO, Feb. 10, 2019 /PRNewswire/ — Reed Exhibitions Japan Ltd. will be holding BATTERY JAPAN 2019 – Int’l Rechargeable Battery Expo from Feb. 27 at Tokyo Big Sight, Japan. On 27th, LG CHEM and NIO, the automobile related start-up company attracting widespread attention as the Chinese version of Tesla will be presenting a Keynote Session with the theme of “Frontline of the Latest EV & Battery Development in Asia“. TOYOTA MOTOR and German Government will deliver another Keynote Session of “Impacts of the Development of Next-generation Batteries and Wider Adoption of EVs” on 28th.